Easy to stitch with (unusual for metallic), and the effect is like nothing else available! 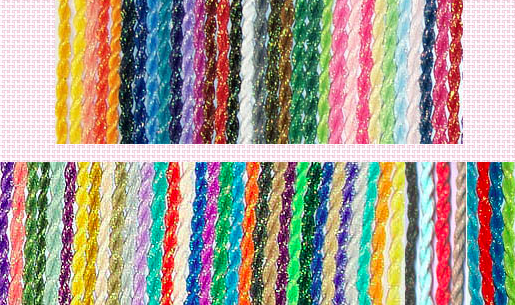 Sprinkles is made of a 5 ply polyester fiber spun with Pearl Pizzaz and is available in a fabulous color range. It looks like "sprinkles" on a sugar cookie! !